Healer Chords by Kari Jobe can be seen below the video song. Healer is one of the famous singles from Kari Jobe which debuted at #33 on Billboard's Soft A/C chart. 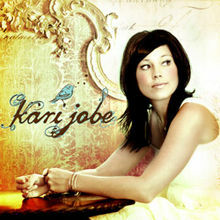 This song was included in her album named Kari Jobe which was released on February 10, 2009 by Integrity Music and Gateway Create.